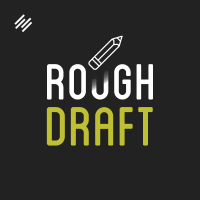 In the last episode of Rough Draft, your host explored storytelling from a myriad of angles, culminating in a thorough vetting of Joseph Campbell’s Hero’s Journey concept. This time we thoroughly vet Campbell, the man. And we do it with superstar Campbell scholar Robert Segal. Professor Segal is an unstoppable fount of knowledge about Campbell and his work, particularly the Hero’s Journey. This is a frolicking good ride for those who love myth, psychology, and storytelling. Not to mention a little treat from your host about 20 minutes in. NOT TO BE MISSED! Long time listener, first time commenter. Where in the world is Demian? I loved the old format. I like the new ones too. What happened? Do you plan to reboot your podcast? I enjoyed the eclectic feel of your show. Thanks for the kind words, Norman. Right now I don’t have any definite target date for rebooting. Come back. It’s been too long. I’m missing the slightly off-kilter, but always entertaining, cadence of your voice. The other podcasts on here are too predictable, too boring, too repetitive. Yours had chutzpah. Come on man, we’re missing you!